All over the globe, A&K Global Health excels in matching people who need healthcare with the right organizations to fund it and the right doctors and hospitals to provide it. 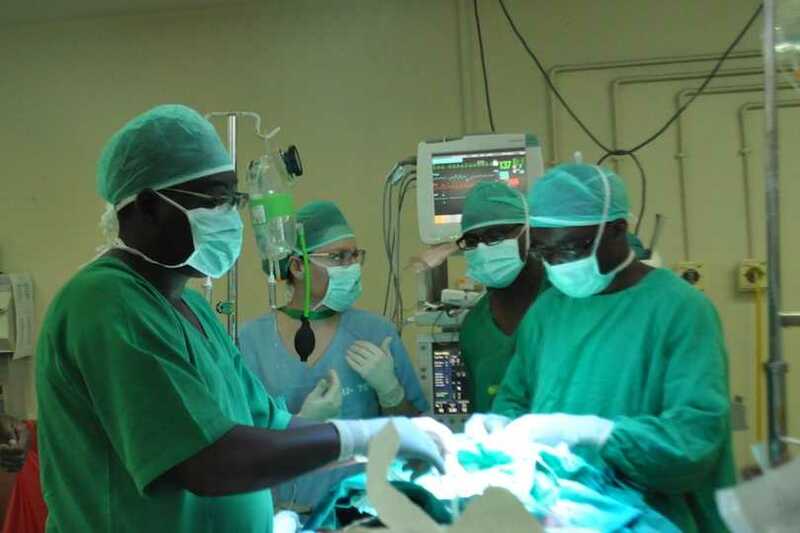 A recent international surgical mission at Mater Hospital in Nairobi, Kenya delivered a powerful example of our life-saving coordination and management in action. For two weeks last November, a team of cardiac surgeons from Kardiocentrum University Hospital in Motol, Czech Republic and Kramala Hospital in Bratislava, Slovakia, embedded with Mater’s resident surgical and support staff. In conjunction with the National Hospital Insurance Fund’s (NHIF) cardiac surgery program, the mission aimed to address the most urgent pediatric cardiac cases on the hospital’s waiting list. It conducted 13 complex surgeries in just 13 days, including one Rastelli procedure – the first to be performed at Mater Hospital. All 13 surgeries were successful, and all 13 children have since returned home to their families from the hospital. Because 10 of the 13 children who received surgeries were sponsored by the NHIF and managed by A&K Global Health, Mater Hospital and the visiting surgeons organized an event at the mission’s end to acknowledge and appreciate everyone’s role. It was an emotional evening for the local and foreign doctors alike: in their presentation to our CEO, Morgan Darwin, the surgeons stressed that these patients would have died without A&K Global Health’s involvement. Several medical professionals were moved to tears as they expressed their gratitude. A&K Global Health has more collaborative surgical initiatives on the horizon. At Mater as at every hospital involved in the NHIF’s cardiac surgery program, we are using our experience and expert knowledge to put together surgical alliances that benefit every participant, from patients and families to Kenyan as well as international surgeons and medical professionals. And we’ll continue to showcase here on the A&K Global Health blog the incredible positive returns that occur when we bring people together, united toward the common goal of expanding healthcare.